REMEDIAL TEACHERS, PARENTS & THERAPISTS. Use therapeutic developmental methods to help your child. 2nd EDITION IS READY!! MORE information on coding and comprehension! Not just a book ! A complete Reading Programme. Easy games, lots of fun for all. You do not need to be a professional to use it. Colour is used to help highlight concepts and phonics. 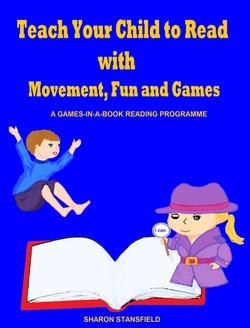 BUY THE BOOK; IT IS A FULL READING PROGRAM WITH GRADED WORKSHEETS & LESSONS DESIGNED AS GAMES. CONTACT SHARON or post comments on how you're enjoying your copy!